Space Zombies have infested our strangely roofless yet dazzlingly shiny portal facility. Your job is to kill them. We've equipped you with a top of the line laser gun that will slice straight through them, and make a neat little sound while it's at it. 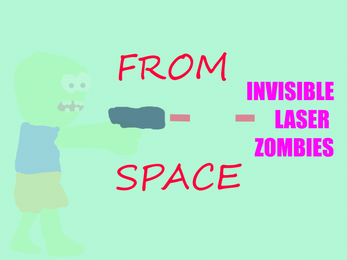 The zombies are invisible. Sometimes they leak a bit, but they're mostly invisible. The shiny walls of the facility are made of magic, and as such will reflect any stray laser shots straight back at you, no matter what angle you fire at them. So try not to miss. 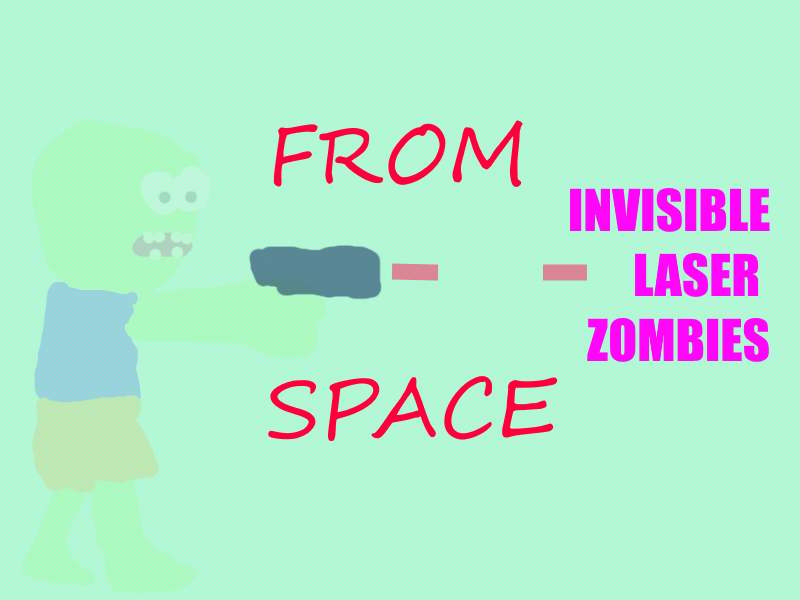 We've given you a sonar gun too, which might detect the zombies, but it will also detect the walls. Watch out for that.